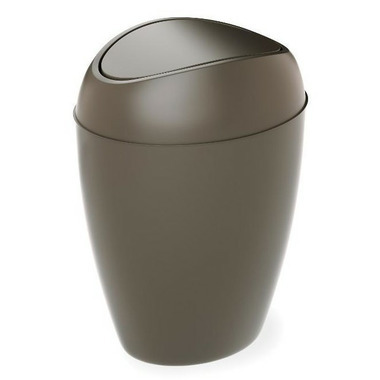 The Umbra Twirla Garbage Can is designed for bathroom, bedroom or office. Use it in your powder room or under your desk and keep your trash hidden away in style. The lid kept popping off which was defeating the purpose of this purchase, which was to contain the lint from the dryer. Customer service was really excellent and prompt. I guess it wasn't worth paying for the return so they refunded my money and I gave away the garbage can. Slim and stylish design. Used in our guest washroom. Great product for the price.